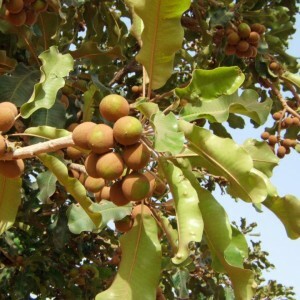 University of Oregon-led research in Burkina Faso has found a long history of using nuts from the shea tree. The oil from the nuts provides the primary cooking oil in the region, and it exported and used in skin cream, hair conditioner, lip gloss and soap. The nuts have been harvested since at least A.D. 100. Co-authors on the paper with Gallagher were Stephen A. Dueppen, a professor of anthropology, and UO doctoral student Rory Walsh, who measured the nutshells excavated at Kirikongo. The National Science Foundation (grant BCS-0520614) and National Geographic Society (grant 8849-10) provided primary support for the research.